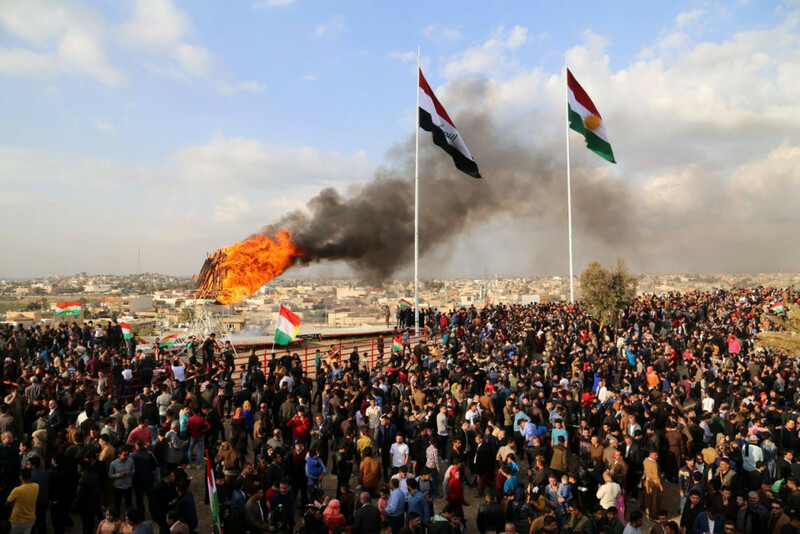 Kurdish political parties said they plan to jointly hold this year’s Newroz festivals in Kirkuk, which will also include the lighting of a bonfire on the historic citadel of Kirkuk. “We intend to light the traditional bonfire at Kirkuk Citadel on March 20th. In fact there are some details that need to be discussed prior to that day including whether we will raise the Kurdistan Region flag or not”, according to the joint statement. For Kurds, sorrow and joy lie very close together in this month. On March 16, 1988 the former Ba’ath regime bombarded the Kurdish town of Halabja with chemical weapons, killing more than 5 thousand people. Meanwhile, Kurds on March 20, celebrate the eve Nawroz, the Kurdish new year wearing colourful traditional clothes and lighting bonfires across the region. The same day coincides with an important event in the history of Kurds, when the Kurdish Peshmarga forces took control over Kirkuk. Yada Ahmed, a shop owner in Kirkuk’s Failaq neighborhood said he was still concerned, particularly after a security force stormed his shop last week and “seized all the kites with Kurdistan Region flag paintings”, as he claimed. “They told me I should never sell such kites because they are banned”, said Yada. According to sources, many shop owners in the same neighborhood were told not to sell Kites carrying Kurdish flag paintings. However things were normal in Rahimawa neighborhood, as children were seen flying these controversial kites.